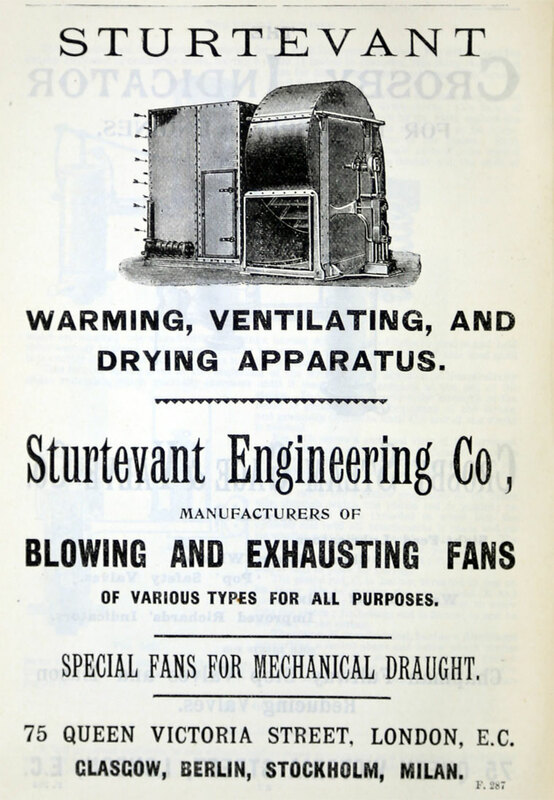 1884 Company founded as representative of the B. F. Sturtevant Company, both of Boston, U.S.A.
1895 Advert. 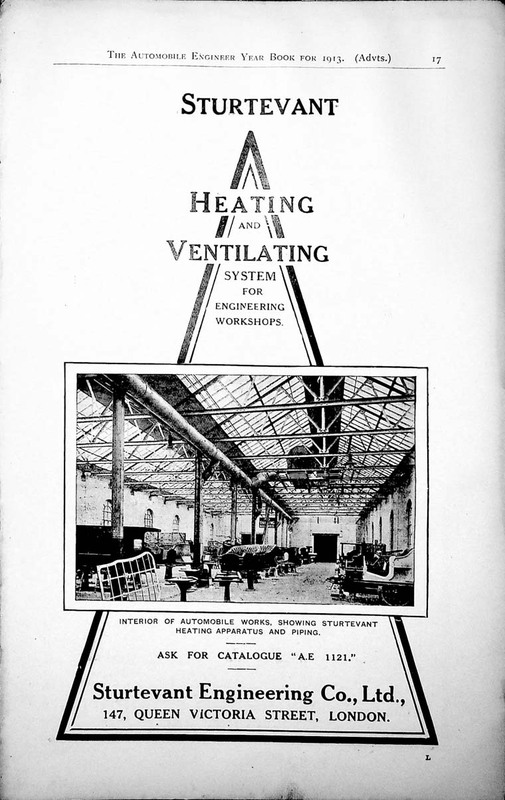 Heating and ventilating systems. 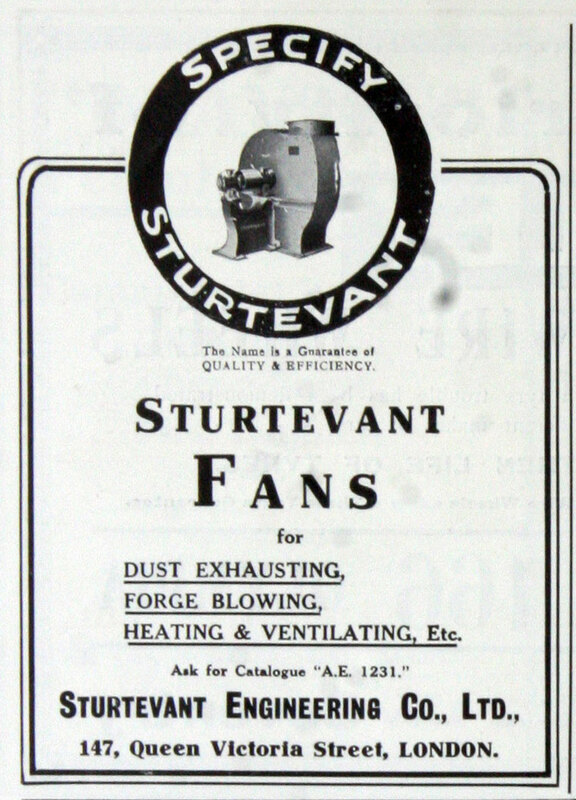 formerly Sturtevant Blower Co. 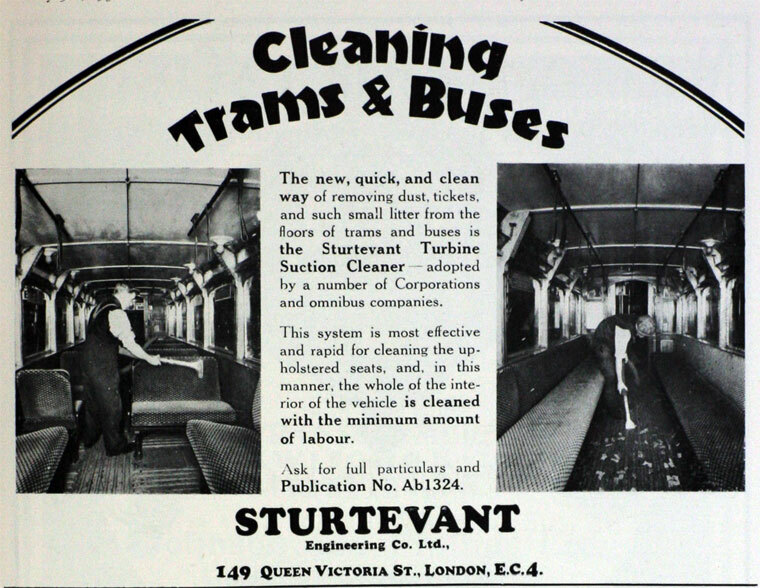 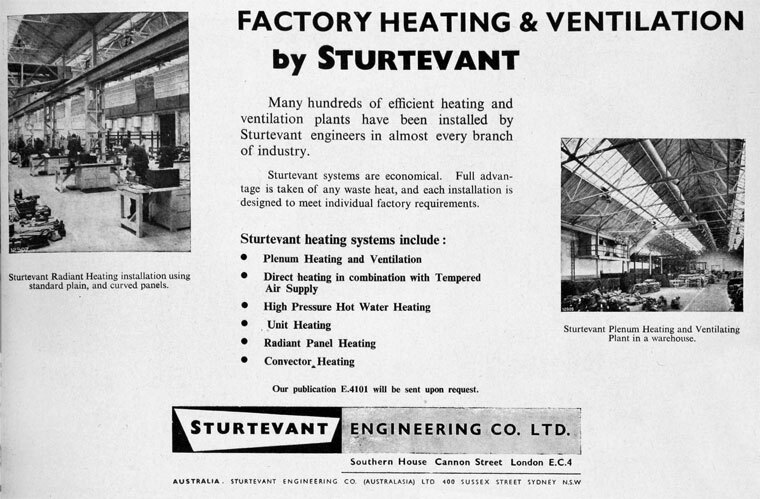 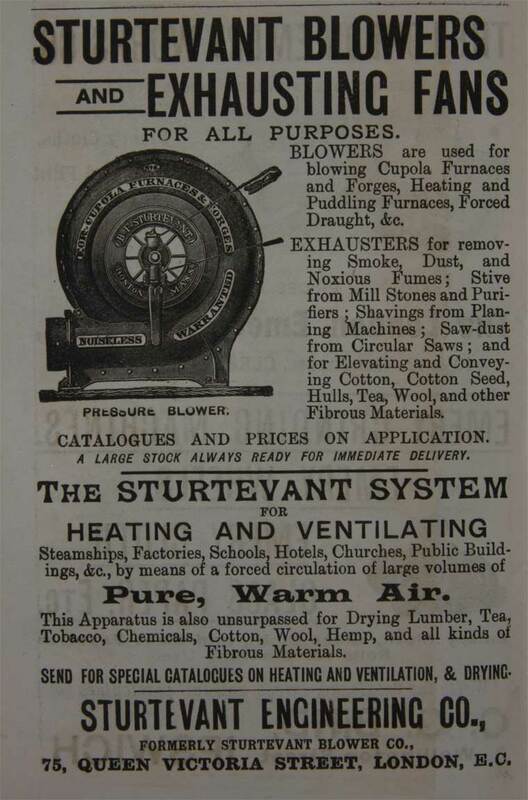 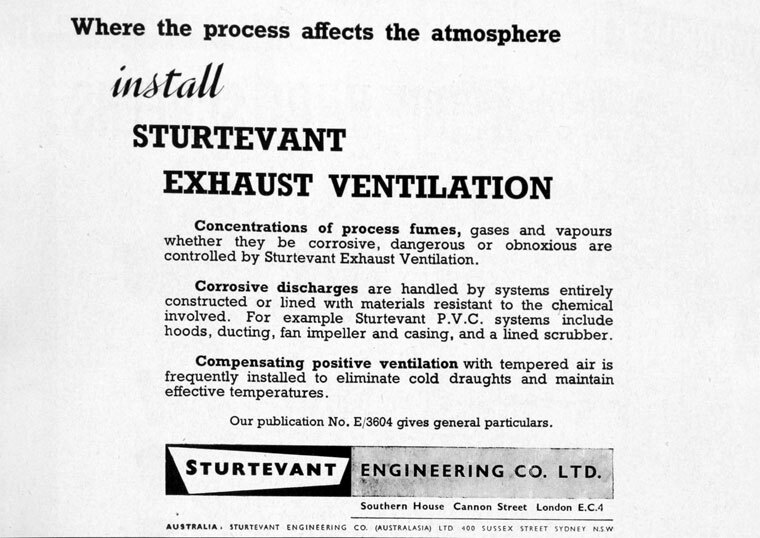 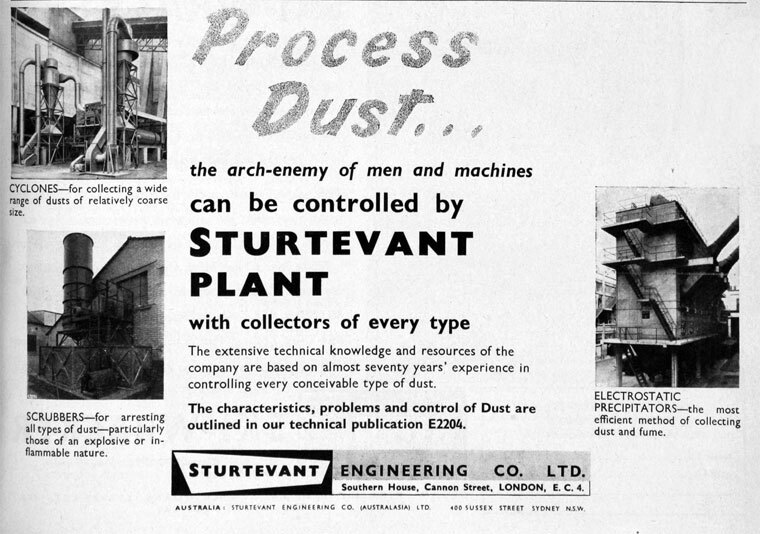 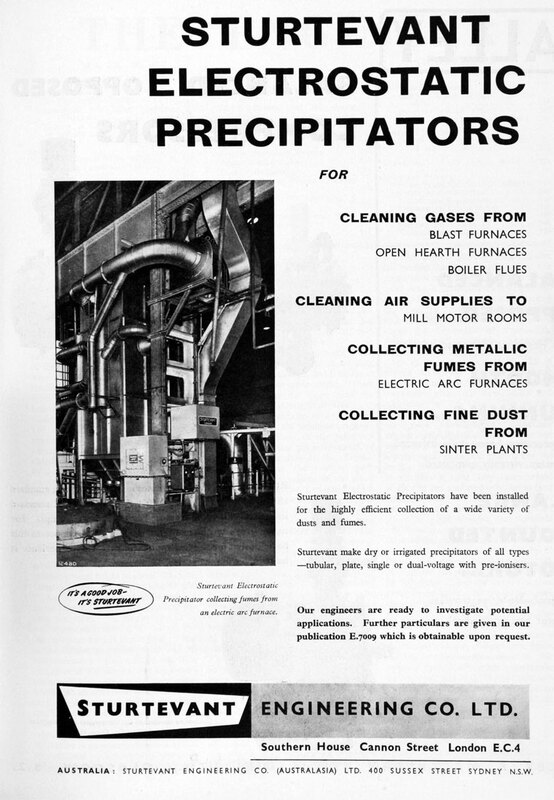 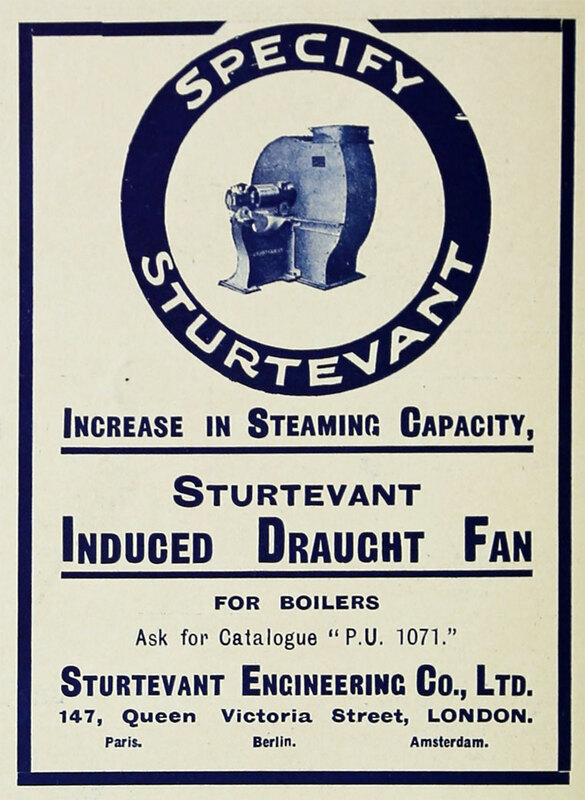 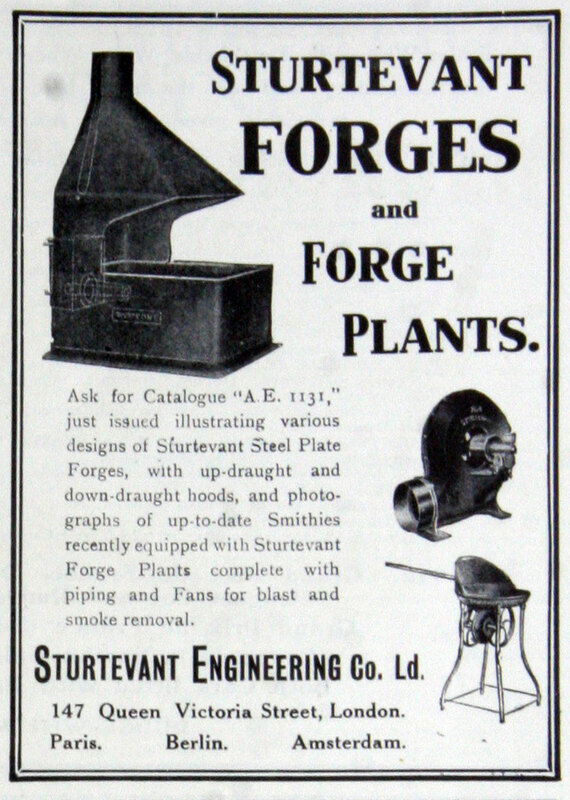 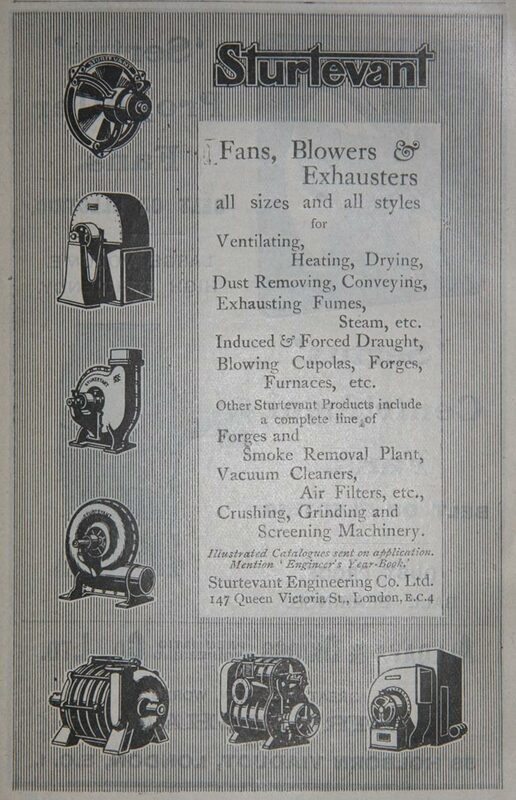 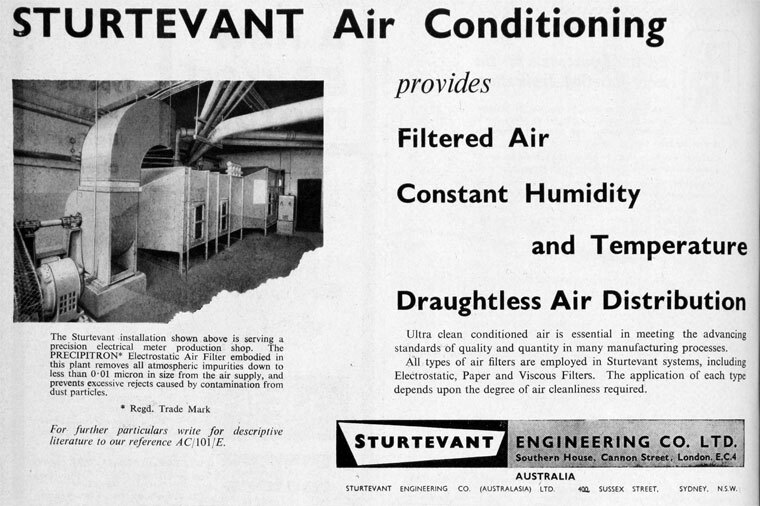 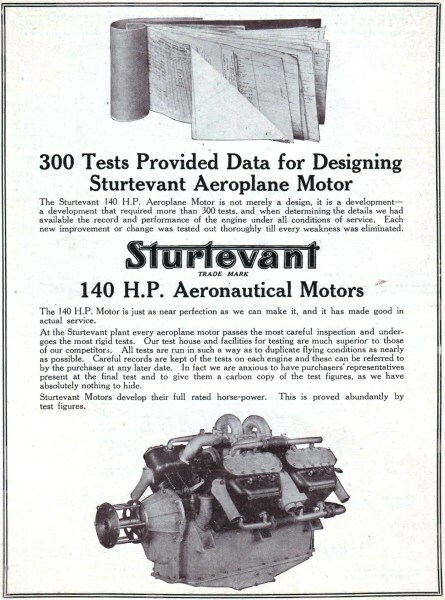 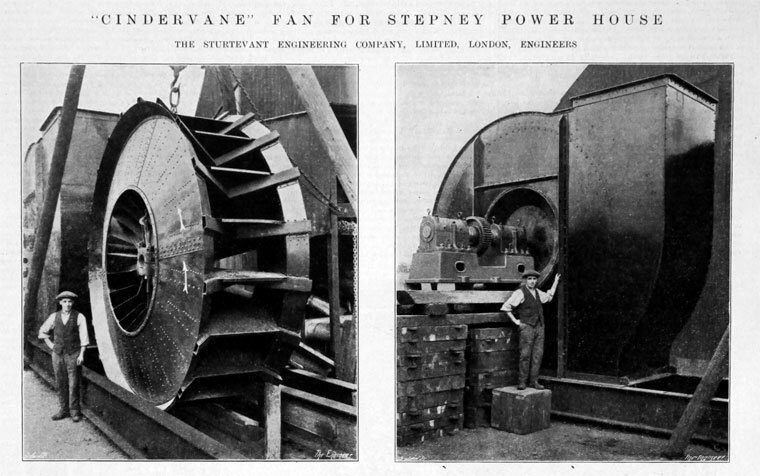 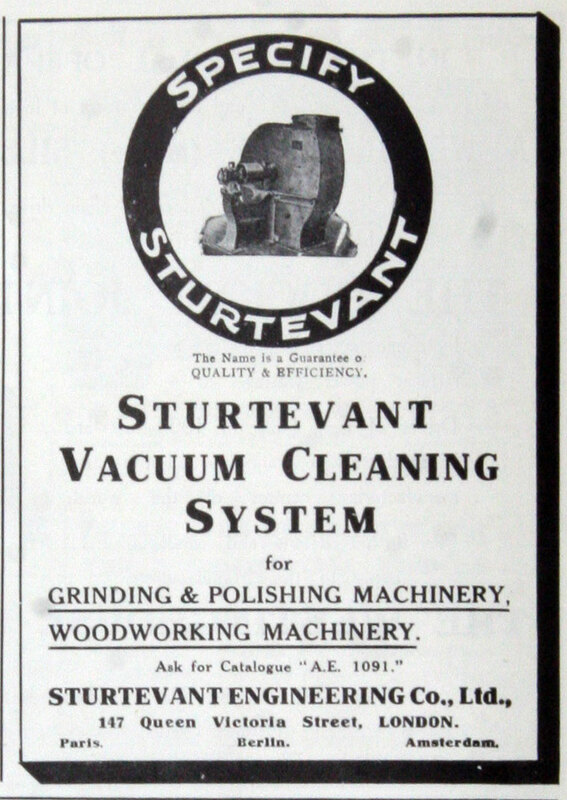 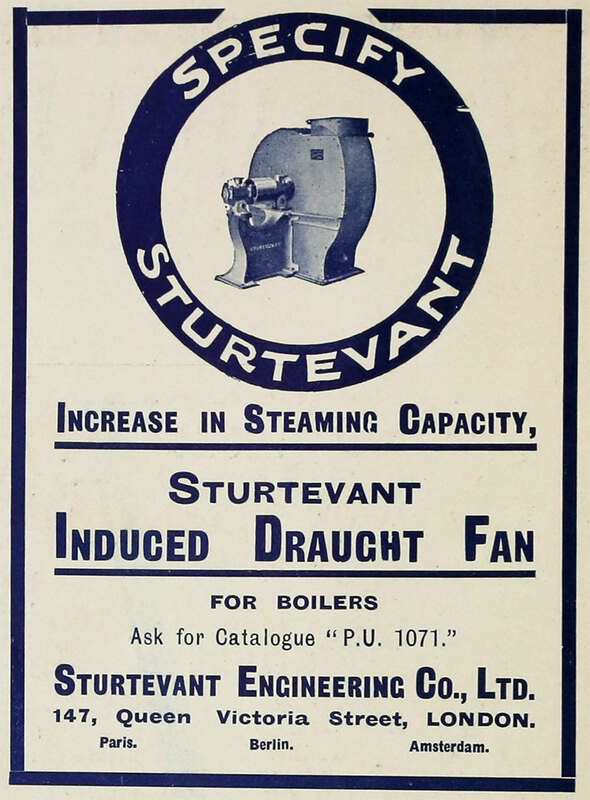 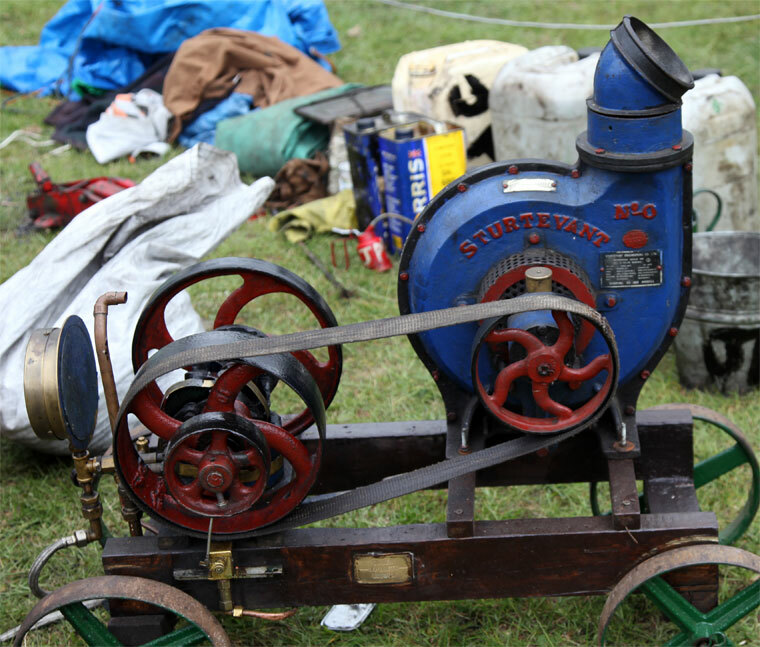 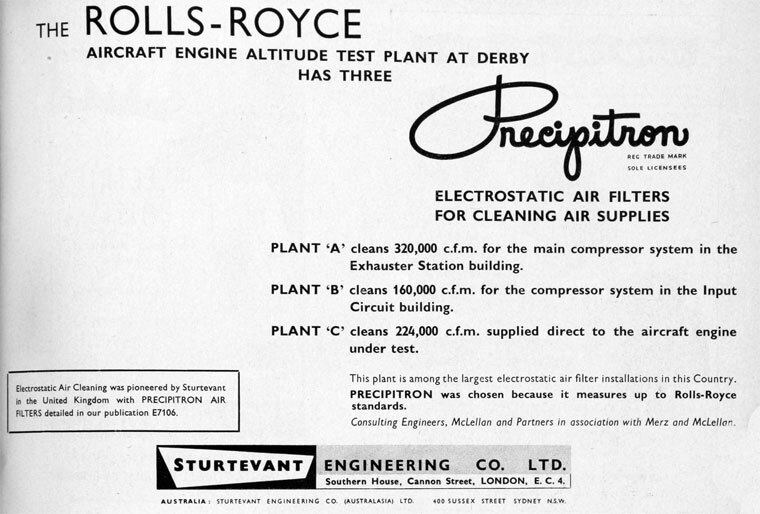 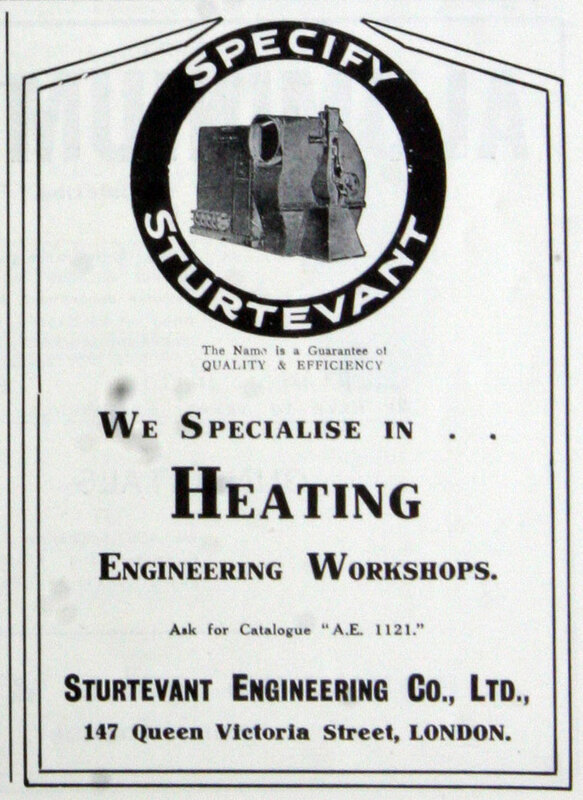 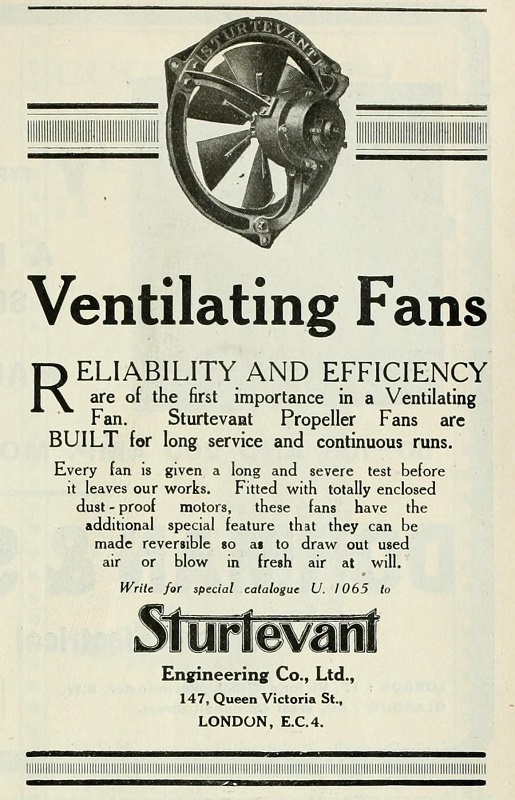 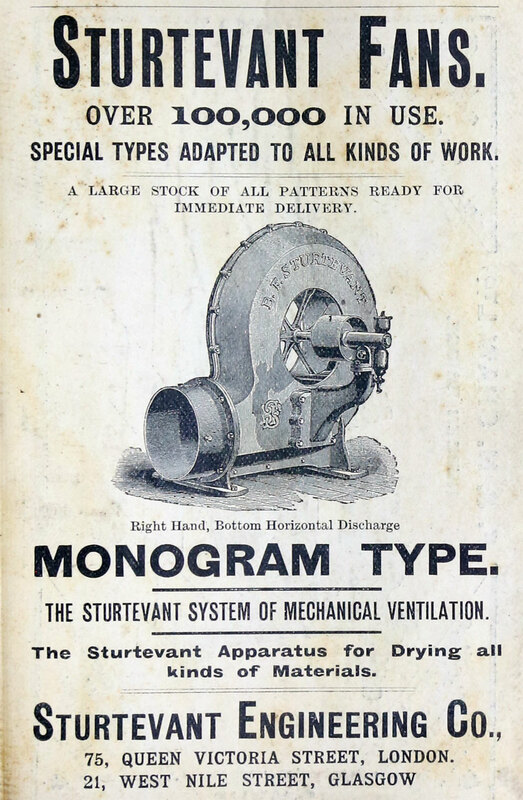 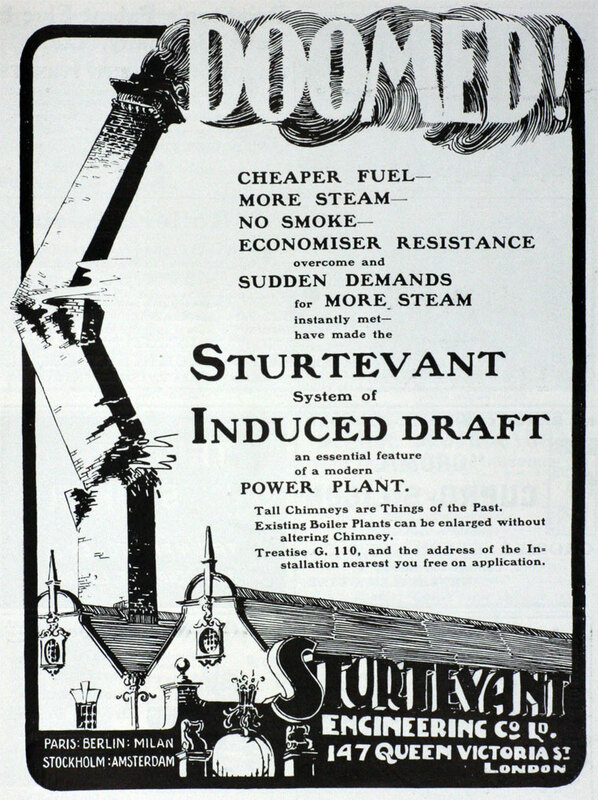 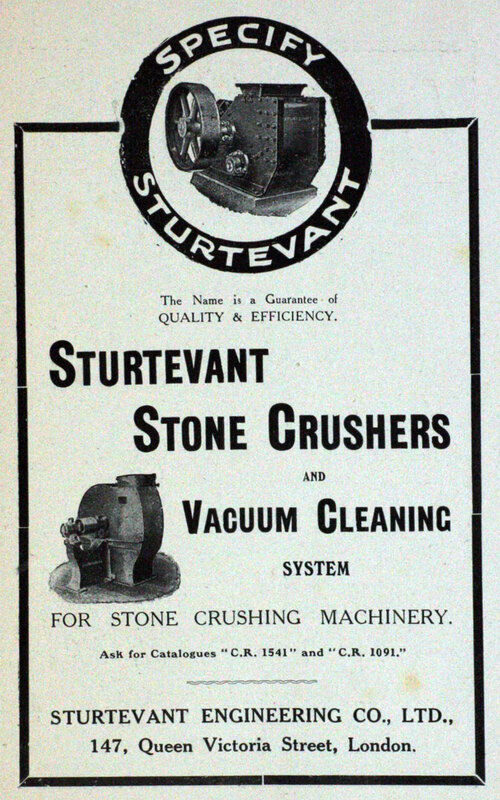 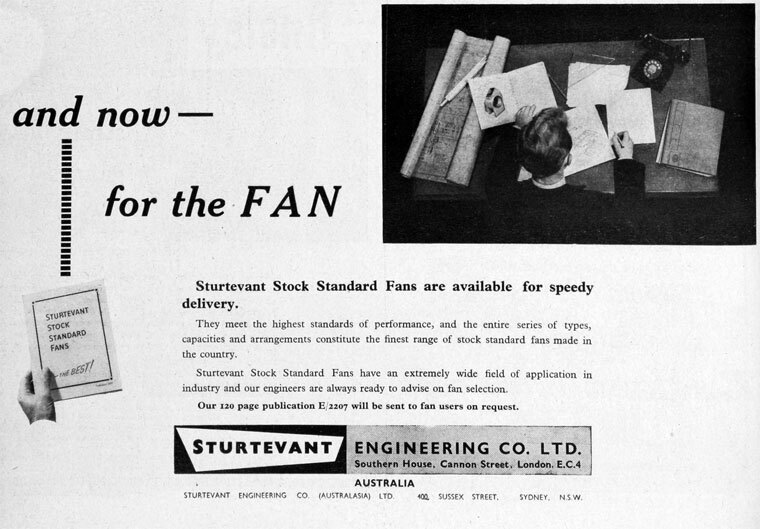 Shortly after Sturtevant Welbeck was split into separate divisions: Sturtevant Engineering & Manufacturing Ltd. (portable vacuums) and Sturtevant Systems Ltd. (fixed vacuum systems). 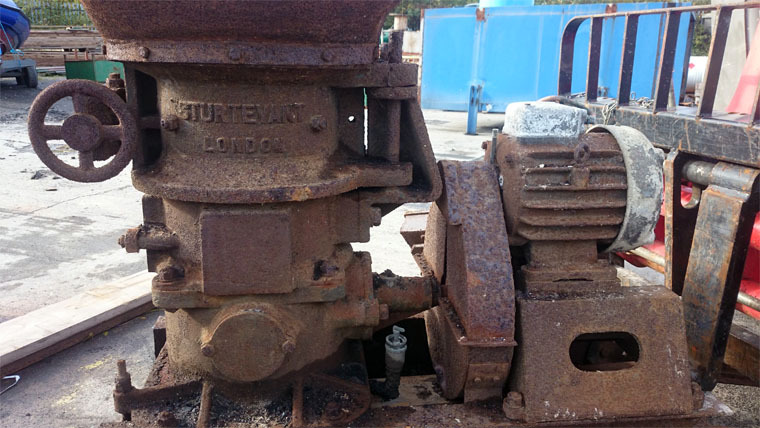 Christy Turner Ltd. acquired the crusher business in the early 1980s. 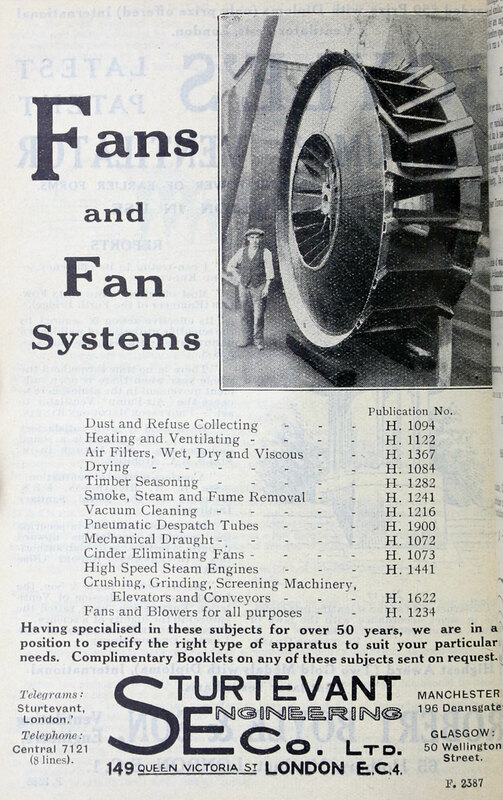 The vacuum divisions were sold in 1994 to Clyde Blowers and eventually assets transferred to Clyde Material Handling Ltd.